It is not often you see a monk performing a headlock, much less on a soldier. But that's exactly what happened last week, when soldiers confronted monks who had gathered in a Buddhist park to pressure the Thai military government to speed up their appointment of the most senior monk in the kingdom. A brief scuffle broke out when soldiers tried to stop monks from joining hundreds of their peers in the mostly peaceful protest, triggering startling scenes that went viral on social media. The row over the fitness of the acting Supreme Patriarch to fully assume the position threatens to embroil the ruling junta in a dispute with Buddhist clergy. Intriguingly, the protesting monks also demanded that Buddhism be made Thailand's national religion - a call that is now being supported by one of the country's largest temples. 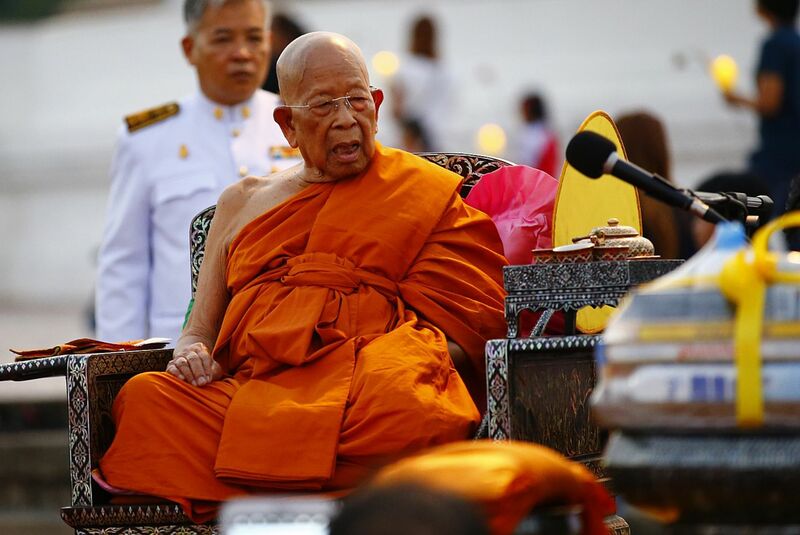 On one side of the dispute is the grouping of monastic elders called the Supreme Sangha Council, which has unanimously voted to nominate 90-year-old abbot Somdet Phra Maha Ratchamangalacharn - also known as Somdet Chuang - for the post of Supreme Patriarch. On the other side is Phra Buddha Isara, a firebrand monk who co-led anti-government protests two years ago that ushered in the May 2014 coup. As part of his very public proclamations against corruption and nepotism in the clergy, the soldier-turned-monk has petitioned Prime Minister Prayut Chan-o-cha to oppose Somdet Chuang's nomination. Phra Buddha Isara has not declared any interest in the Supreme Patriarch post. General Prayut, whose job is to submit the Sangha Council's nomination to King Bhumibol Adulyadej for endorsement, has hesitated. He says he cannot proceed as long as there are "problems". The Department of Special Investigation followed up with a press conference last Thursday, detailing irregular documents tied to Somdet Chuang's vintage Mercedes-Benz. It stopped short of accusing the monk of wrongdoing. Most observers know, however, that opposition to Somdet Chuang stems largely from his close ties to the abbot of Wat Phra Dhammakaya. The prominent and rapidly expanding temple hosts over 4,000 monks and novices on its grounds just outside Bangkok and claims to have millions of followers in Thailand and abroad. The 90-year-old monk is the abbot of Wat Pak Nam Phasi Charoen, an ancient temple on the bank of a canal in Bangkok. He was made acting Supreme Patriarch in 2014, one year after his predecessor died. Although the Supreme Sangha Council, the governing body for Thailand's monks, has nominated him for the post, Prime Minister Prayut Chan-o-cha has yet to submit his name for royal endorsement. 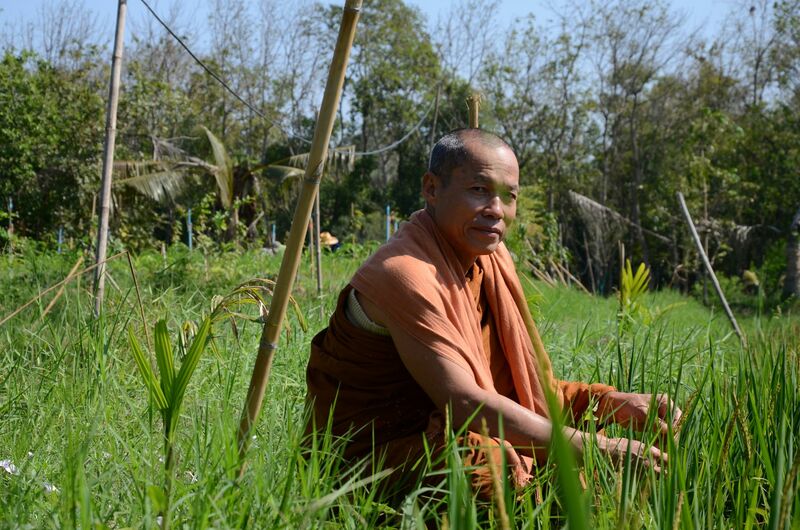 Since co-leading anti-government protests in 2014, the 60-year-old monk from Wat Or Noi in Nakhon Pathom province has not faded from the limelight. He regularly speaks out on political issues, and recently submitted a petition opposing the appointment of Somdet Chuang as Supreme Patriarch. Before he became a monk, he was an infantryman in the Queen's Guard, the same unit as the prime minister's. Yet, it has been accused of skewing Buddhist teachings as well as receiving millions of baht in donations embezzled from a credit union - which it says it was not in a position to determine. 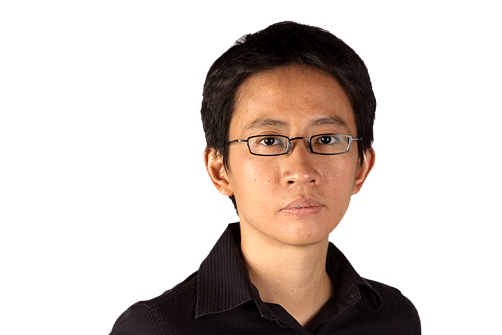 Detractors also point to the temple's reported links to fugitive former premier Thaksin Shinawatra, who is loathed by the royalist establishment. The question of who gets to be Supreme Patriarch has ramifications beyond the monastic order. The powers of the day have traditionally leaned on the nation's clergy to buttress their legitimacy. Somdet Chuang was a shoo-in for the post of Supreme Patriarch simply because the sangha rules required the highest-ranking monk to be picked. It is not clear what the alternatives are if he is not appointed, given that the task of nominating a candidate lies with the Supreme Sangha Council. The junta, which has wielded its power liberally against critics, is treading carefully. Any upset in the appointment is likely to trigger more protests, says Buddhism scholar Vichak Panich. Similarly, a Dhammakaya spokesman expects prolonged unrest should things remain in limbo. The monks "are not blocking public roads, they are not causing conflict to anyone", the temple's acting spokesman Phra Paramai Dhanissaro told The Straits Times on Monday. "It should be their right to go there and say what they feel," he said, referring to the park where monks clashed with troops. The monk claimed that "the majority" of his peers are satisfied with the existing system. As such, Dhammakaya supports the attempts to codify Buddhism as the national religion, as a means to protect the monastic order from future interference, he said. But this could stoke religious tensions, scholars warn. The most recent Constitution - now suspended - only requires the state to support and "protect" Buddhism. Mr Vichak thinks the country should head in the opposite direction, to decouple the monastic order from politics. "This whole conflict comes from the way Buddhism has always been involved in politics. The only way to get out of this cycle is secularisation," he says.